Faith Lutheran College first opened in 1999 with 40 students in Years 8 and 9 in a temporary premises in Laidley, before moving to our present location in October, 2000. The College now has over 700 students in Years 7-12, and our campus continues to be developed to respond to our students' requirements and comfort. We are looking forward to celebrating our 20th Anniversary in 2019 with a number of special events. Christian beliefs and values are the basis of our ethos. Our school culture, where there is laughter, happiness and genuine joy, where morale is high and self-esteem is being boosted by praise, support and care, provides a positive, energetic and vibrant learning environment. The College has a modern unitised curriculum structure with a greater choice of elective subjects at Years 9 and 10 than most other schools. We offer our senior students alternative career opportunities through School Based Apprenticeships and Traineeships. We believe in building good relationships between staff and students, as well as between students and so we have a well-established pastoral care program. In conjunction with the individual-focused pastoral care program, the College has a culture of strong but caring discipline. We believe in giving students as many opportunities as possible to discover and develop their individual talents, not only academically, but also in cultural and sporting activities. We believe in the importance of keeping up with modern technology and so all of our students have access to mobile devices, laptops and the internet. We believe that innovative excursions, camps, overseas trips, service trips and work experience challenge students to understand how the theory of classroom studies is put into practice in the outside world, to develop a sense of community, teamwork and leadership, and to improve their individual skills in various activities. We believe education is a partnership between parents and the College. Lutheran schooling has been part of this country’s history since 1839 and currently there is a total of 85 Lutheran Schools in Australia including Peace Lutheran Primary School in Gatton and Faith Lutheran College in Plainland. All Lutheran schools are based on some solid understandings about people and life. Lutheran educators believe that all positive knowledge and learning is a great gift for the growth and welfare to all and each school considers it important to develop a spirit of service in its students so that in their lives, studies, relationships, ambitions, values and attitudes they reflect a commitment to living useful lives for the good of others. A Lutheran school provides a caring environment and while the major focus is on teaching and learning, each school strives to offer far more than that. When a family joins a Lutheran school they become part of a community which strives to be a secure place offering warm, caring relationships and a safe environment for all. A Lutheran school embraces high standards of teaching and learning. Each school strives to provide excellence in education. It caters for a wide range of abilities, including gifted and talented as well as those with learning difficulties. The teaching program emphasises key competencies, stimulates thinking and integrates technology. A Lutheran school is also committed to a wide range of co-curricular activities such as sports, music and the arts. A Lutheran school promotes Christian growth and development. Each school integrates Christian understandings into all its teaching, intentionally employing educators who are able and active in supporting students in a Christian approach to life. A Lutheran school provides regular worship and there is a commitment to encourage and nurture the Christian faith in each individual student. A Lutheran school works as a team with parents. A Lutheran school holds itself accountable to parents for the progress and welfare of students and it encourages parents to get involved in their children’s schooling and to participate in school life in the variety of ways that are available. Our Faith is based in a God who has created us and given us life, relationships and this world to enjoy. We have also been given the responsibilities of respecting life, caring for each other and carefully managing the resources of our world. Our aim is to develop the whole person for Life. Education is not simply concerned with the expansion of intellect but the development of the whole person, socially, intellectually, spiritually, physically and emotionally. Faith Lutheran College aims to develop a Community of tolerance and acceptance of others as we seek to develop each person's unique gifts and talents. All members of our community will be encouraged to acknowledge the privilege give to them by God; to accept their responsibility to support and encourage others; to use the opportunity to develop self discipline and independence. A safe and caring environment in which people can learn, and are given the opportunity to develop their God-given talents. Quality education which prepares students for life as valued citizens, through dedicated staff. Opportunity for discovering self identity and a relationship with Christ. Encouragement for developing an appreciation of, respect for, and responsibility towards God's creation. Resources for wider community use. To achieve these aims, Faith in the forgiving Christ directs every aspects of the life of the College, in its service to the Community. 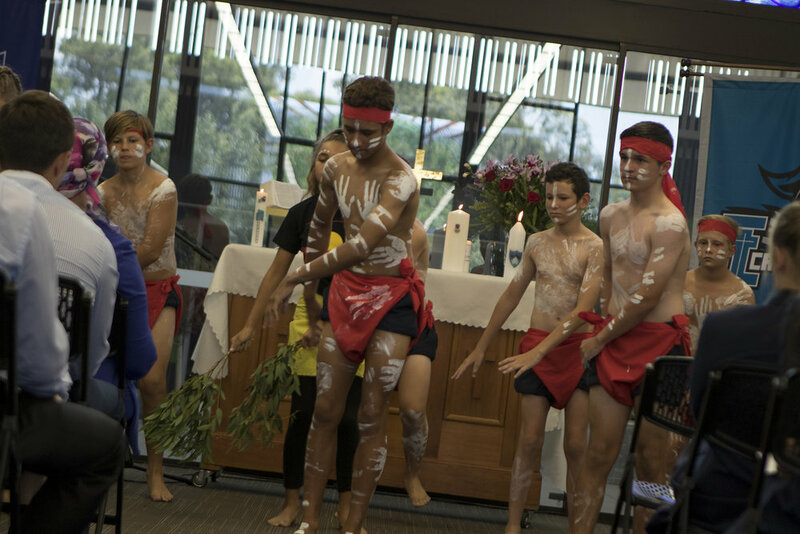 Faith Lutheran College, Plainland has been established with the clear directive that pastoral care be a very important and conspicuous element within all the day to day activities of the school. Pastoral Care - What Does It Mean? Accept students as individuals in God's kingdom. Take personal interest in the welfare of each individual student and in all aspects of their development. Give praise, support and encouragement to others. Apply equity and justice to all. Listen to and provide guidance, advice and counselling to students. Help students restore broken relationships (with God, with their parents, with their teachers, with fellow students, with others). Help students develop self-discipline, respect for others, and awareness of the rights and needs of others in the community. Help and encourage students to recognise and to change unacceptable and inappropriate behaviour. Help students recognise that they too have a responsibility for the pastoral care of others within the community. Help students develop a spirit of community, loyalty, and commitment to each other and to the school. Guide students through their secondary education in order to help them become people of integrity, who can make a useful and worthwhile contribution to society as respected citizens.